The 11th Annual All Good Music Festival & Camp Out, which was held near Masontown, West Virginia on July 12–15, was better than good. With a line-up that boasted an endless stream of festival favorites — including Michael Franti and Spearhead, Ratdog with Bob Weir, New Monsoon, moe., The Lee Boys, STS9, Yonder Mountain String Band, and Keller Williams with the Keels — the show was downright stellar. The primary performances alternated between two main stages in the field, while the hidden Ropadope Stage — which was situated up the road, past the vending — played host to an array of amazing, impromptu collaborations. It was there, for example, that PBS’s Brian Stoltz joined Ratdog, Marco Benevento jammed with The Lee Boys, and the Burndown Allstars unleashed its musical madness. After a pre-festival, Thursday night performance by Dark Star Orchestra that channeled the Grateful Dead circa 1977, the weekend’s slate officially started with The Bridge and continued with many electric, over-the-top showcases. The weather was wonderfully cooperative, and the brief shower that did transpire served to lessen the dust. 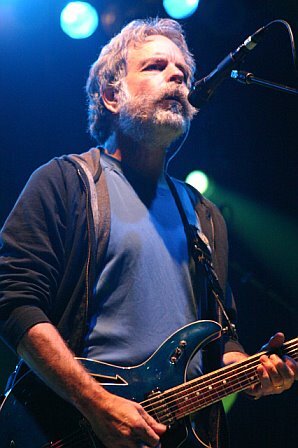 Fans were most excited by Ratdog with Bob Weir. The late-night festivities culminated with STS9, and the sounds that were emanating from the stage could be heard just fine from the campgrounds that were tucked into the surrounding hillside. On Saturday, Franti delivered a moving acoustic set that preceded his riveting appearance on the main stage. moe. followed Franti with a two-hour showcase, before it hosted a late-night, all-star jam session. On Sunday morning, Roosevelt Collier and the rest of The Lee Boys shared their musical love with the gathered "festivarians." 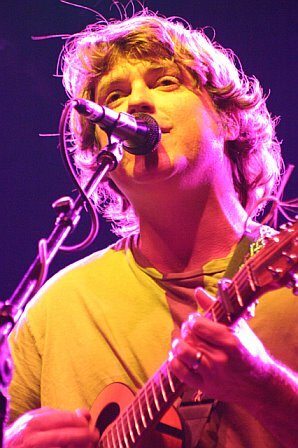 The festival’s highlight, however, was the second reunion appearance of Leftover Salmon. 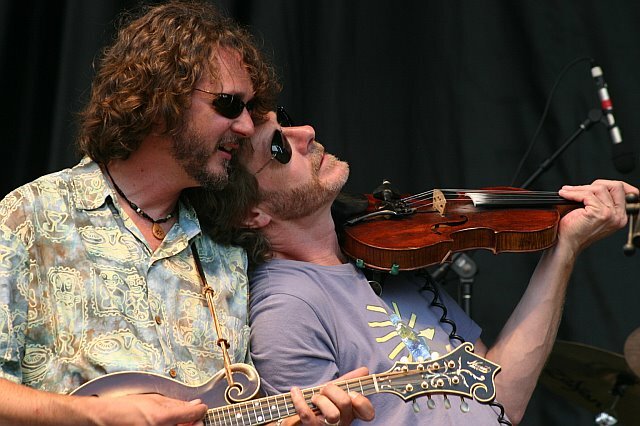 Sam Bush sat in for almost the entire set, and the ensemble delivered the soundtrack for a huge dance party in the meadow, at least until the rain blew in and the plug was pulled. Even so — all’s good that’s ends good.